Three women – all with secrets. And as the days tick down to Michael’s release, those secrets can no longer be ignored. 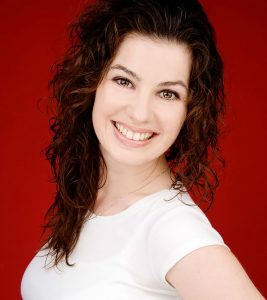 Award-winning author, entrepreneur, and luxury travel journalist and editor, Karen Osman has lived the expat life for almost twenty years across Asia, Europe, and the Middle East. Originally from the United Kingdom, Karen has built an impressive enterprise combining her two passions: luxury travel and the English language. 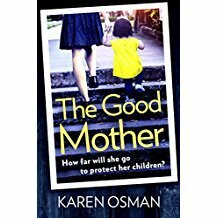 Her latest achievement is securing a three-book deal with UK-based Head of Zeus publishing house following her win at the Emirates Airline Festival of Literature Montegrappa Novel Writing Award 2016 with her crime-thriller novel, The Good Mother, out in October 2017. Karen has also been included in 2017’s edition of Ahlan’s Hot 100 People, an accolade recognising the pioneers and game-changers shaping the UAE’s social and cultural landscape. 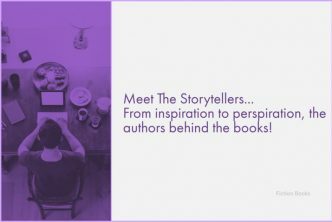 In addition to being an award-winning author, Karen founded niche communications company Travel Ink in 2011, providing content writing and strategy, public relations, social media, training, and translation services to hotels, airlines, and tourism establishments. In her role as Managing Director, Karen oversees a team of writers, editors, and PR and social media consultants to deliver quality content for exceptional results. As a testament to its success, Travel Ink was shortlisted as a finalist for the SME Advisor Stars of Business Awards in two categories (Hospitality & Tourism and Communications) just one year after the company’s inception. Karen has been recognised for her achievements in the areas of entrepreneurship, luxury travel, and the written word and has featured in various regional and international publications including Hello!, Stylist, Forbes, The National, Ahlan!, and Gulf News to name a few. She also holds a number of note-worthy positions including Travel and Tourism Chair Person for the British Business Group, writer and moderator for Arabian Travel Market, and Vice-President of the Kaizen chapter of Business Network International. Karen lives in Dubai with her husband and two young sons. I am beyond excited to secure a contract with a renowned publisher such as Head of Zeus. A three-book deal is a significant commitment and I’m looking forward to working with the team. I have always made a career out of writing, but more on the corporate side, so to have the opportunity to write novels is a dream come true. 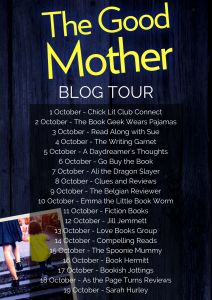 As my contribution to this extensive blog tour, Karen would like me to share this extract from the book with you all … although after reading this, I’m pretty certain you will need to know more! He lunged at her and, whether it was the amount of wine he’d drunk making him clumsy or he had simply tripped over a chair leg, he came crashing down on the floor. Seeing the knife still in his hand, she didn’t hesitate. She turned and ran for her life. Out through the kitchen and into the hallway. She could see it now – the front door was just a few seconds away. She had to get out into the street where there were other people. Her hand reached for the door handle and she yanked it hard. But it wouldn’t open – it was either stuck or locked. She tried again, praying the door was just jammed by the carpet, but it didn’t budge. She could see the keychain hanging on its hook to the side and made a grab for it. Shaking, she tried to find the right key from the bunch to open the door. She could hear him stumbling around in the kitchen and knew she only had seconds to spare. Hearing him coming out of the kitchen, she turned to look back. He looked deranged. There was blood where he had banged his head on the floor and as he came rushing towards her, the last thing she saw was the cruel glint of the blade of the knife, and she knew everything was over. Oh, wow… this is certainly exciting! It sounded good when you first featured it, but now it sounds even better. I’ll keep it on my radar. As the chosen extract is taken from the preface, I might still be able to get away with featuring the book again as part of the ‘Book Beginnings On Friday’ meme, but I can’t see it getting much better than this. These lines really conjure up the entire nightmare scene and place me right there and part of the action, yet unable to move to stop what might be about to happen. I am left guessing as to which of the three women finds themselves in this horrifying situation, as they are all setting themselves up for a potentially huge downfall … unless it is none of them of course … but then who, and why?